The Sense of Smell – Dr. Natural Healing, Inc.
You know how important for you to have the normal Sense of Smell. The olfactory segment of the nasal cavity is lined with a specialized type of olfactory epithelium, which contains receptors for scents. 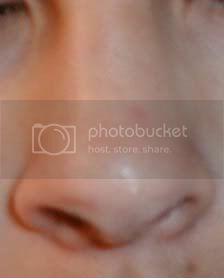 In humans, the olfactory epithelium measures about 1 square centimeter (on each side) and lies on the roof of the nasal cavity about 7 centimeters above and behind the nostrils. The olfactory epithelium is the part of the olfactory system directly responsible for detecting odors. The olfactory cells of the epithelium are bipolar neurons that congregate to form the olfactory nerve. The apical poles (at each end) of these neurons are covered with nonmotile cilia. The plasma membrane contains the odorant-binding proteins that act as olfactory receptors. The incoming odorants are made soluble by the serous secretion from the Bowman’s glands, which are located in the lamina propria of the mucosa. The supporting cells of the olfactory epithelium function as metabolic and physical support for the olfactory cells. Histologically (in terms of tissue structure), the supporting cells are tall, columnar cells featuring microvilli and a prominent terminal web. The nuclei of supporting cells are more apically located than those of the other olfactory epithelial cells. Basal cells rest on the basal lamina of the olfactory epithelium; these cells are stem cells capable of division and differentiation into either supporting or olfactory cells. The constant divisions of the basal cells lead to the olfactory epithelium being replaced every two to four weeks. Basal cells can be divided on the basis of cellular anatomy histological markers into two populations: the horizontal basal cells, which line the olfactory epithelium, and the slightly more superficial globose basal cells. Horizontal basal cells are now thought to be the primary stem cell population supplying new cells to this system, although this is still subject to some debate, with some scientists maintaining that the globose basal cells are the true stem cells. Brush cells are microvilli-bearing columnar cells with a basal surface in contact with the afferent nerve endings. They are specialized for the transduction of general sensation. The nerve fibers are terminal branches of the trigeminal nerve (cranial nerve V), rather than the olfactory nerve, as afferent olfactory signals are. Tubuloalveolar serous secreting glands lie in the lamina propria of the mucosa. These glands deliver a proteinaceous secretion via ducts onto the surface of the mucosa. The role of the secretions is to trap and dissolve odiferous substances for the bipolar neurons. The constant flow from the olfactory glands allows old odors to be constantly washed away. The olfactory epithelium can be damaged by inhalation of toxic fumes, physical injury to the interior of the nose, and possibly by the use of some nasal sprays or the wrong nasal irrigation liquid. Because of its regenerative capacity, damage to the olfactory epithelium is usually temporary, but in extreme cases, injury can be permanent, leading to anosmia. When choosing a solution to perform nasal irrigation, it is very important to know if the product has any side effects impacting smell function. If you lose your sense of smell, you could become physically impaired, and your quality of life would become much poorer.